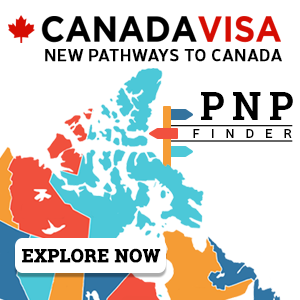 If you have studied or worked in the province of Quebec, you may be eligible to immigrate under this fast-track Canadian immigration program. The Quebec Experience Program (Programme de l’expérience Québécoise, or PEQ) is a popular immigration pathway for foreign students and individuals with work experience in Quebec. Immigration to Quebec can be considered a two-step process in which an individual interested in immigrating to Quebec must first apply for a Certificat de sélection du Québec (also known as a Quebec Selection Certificate or "CSQ"), a document that allows the holder to immigrate to Quebec. To apply for a CSQ, it is important to satisfy the eligibility requirements of one of the many Quebec immigration program offered by Quebec's Ministry of Immigration, Ministère de l’Immigration, de la Diversité et de l’Inclusion (MIDI). Once the applicant obtains a CSQ, he or she must then submit an application to Immigration, Refugees and Citizenship Canada (IRCC) for federal approval before the Canadian Immigration (Permanent Resident) Visa can be issued. Federal immigration authorities will primarily be responsible for processing criminal and medical checks. Potential applicants who do not meet the eligibility criteria for the PEQ, but who have experience working or studying in Quebec, may also be eligible to apply for a CSQ through the Quebec Skilled Worker Program. Read more about the differences between the PEQ and QSW programs. show that he or she has successfully completed an advanced intermediate level French course at a Quebec educational institution, if his or her studies were not completed in French, or prove French ability by way of a standardized language test recognized by the Government of Quebec. MIDI will not issue a CSQ until the applicant submits a complete transcript and an attestation of successful completion of diploma. Note: As of October 1, 2018, a prospective Quebec graduate can no longer apply for a CSQ six months before obtaining their diploma. Quebec graduates have to obtain their diploma or provide an attestation of successful completion, as well as the transcript of their final grades, in order to submit a CSQ application to the Quebec Immigration Ministry. have legal status in Quebec as a temporary worker or as part of a youth exchange program, such as International Experience Canada (IEC) (Working Holiday, Young Professionals or International Co-op Internship). can show that they have successfully completed an advanced intermediate level French course at a Quebec educational institution, if the studies were not completed in French, or prove French ability by way of a standardized language test recognized by the Government of Quebec. Alternatively, they can show that they have satisfied the French language requirements of the professional order governing their occupation in Quebec. The MIDI considers a minimum of 30 hours of paid work per week as full-time employment. Full-time work experience acquired as an international student while on a Post-Graduation Work Permit or under a Youth Exchange/International Experience Canada (IEC) Program may be taken into account if the applicant meets all PEQ requirements. MIDI will not consider any period of part-time work, self-employment, or entrepreneurial work under the PEQ. Quebec immigration authorities expect the assessment of applications under the PEQ to be completed on a fast-track basis. For more information on the Quebec Experience Program, please consult the Quebec Experience Program Frequently Asked Questions page. 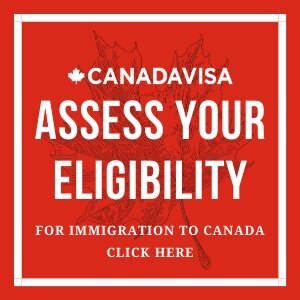 Complete a free assessment form to discover your options for Canadian immigration.